In this series we will be studying what it means to be prepared and ready for Christ’s return. As we go verse by verse through 1 Thessalonians we will see how the apostle Paul encouraged that church to be ready for Christ’s return. They were facing many challenges that we still face today including persecution and even death. As we study these Scriptures we will see how to rightly face these challenges by placing our hope in the resurrection of Jesus and His return. What’s your life goal? Do you have one? What do you think God’s goal for your life is? Would you like to know? What is God’s goal for your life? That you become like Christ. Born again with a new nature, becoming like Jesus, so that you might be ready for Christ’s return. In Paul’s first letter to the Thessalonians, he closed the letter with final instructions on how they might cooperate with God’s goal for them to be sanctified and ready for Christ’s return. Have you ever had to face the death of loved one? Do you know the grief of such loss? Do ever feel discouraged by the increasing trouble in this world? Did you know that the Lord has a word for you to help you face such days? Including the Day of all days? In these passages of 1 Thessalonians 4 and 5, Paul tells the believers of Thessalonica that they can be ready to face the Day of the Lord. We too can be ready to face the Day of Christ’s return. Who are you trying to please? Is it your parents, your spouse, your kids, your neighbors or friends? What about God? Do you care whether God is pleased with your life? Another way of asking this is: Do you want God’s will for your life? Do you want to live to fulfill God’s will and calling on your life? In chapter four of Paul’s first letter to the Thessalonians, he instructed the believers to live in a way that would please God as they await the return of His Son, Jesus. How is your faith today? Are you going through a trial, a time of difficulty? Is your faith growing and secure? Or has your faith weakened in the face of hardship? What does it mean to stand firm in Christ? How can we not only stand firm but grow in our faith in Jesus and in His soon return when times seem to be getting worse? In Paul’s first letter to the Thessalonians, he taught the believers how they could stand firm in Christ while looking for His return. We can stand firm together. In Paul’s first letter to the Thessalonians, he told the believers that they could live a life worthy of God’s call to His kingdom and glory. We can live lives worthy of God’s call to His kingdom and glory. The text found in 1 Thessalonians 2:1-16 gives four marks of those who live worthy of God’s call. In the apostle Paul’s first letter to the Thessalonians, Paul expressed his thanks to God for their readiness for Christ’s return. He listed three attributes of how they were “being ready.” We can be ready for Christ’s return. 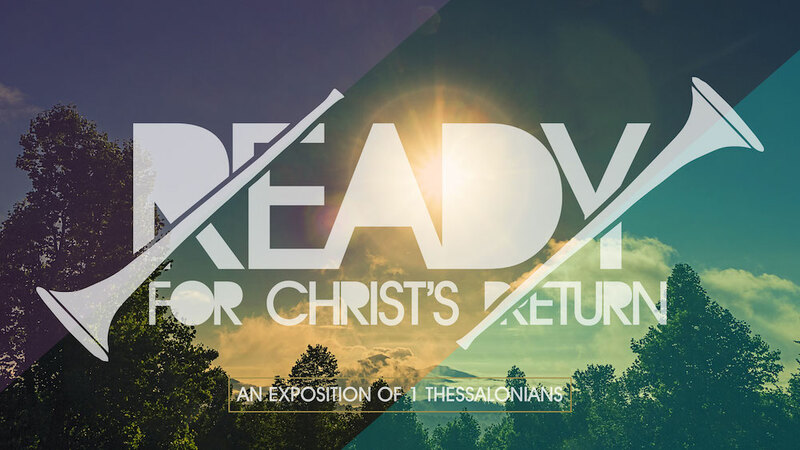 In today’s text, 1 Thessalonians 1:1-10, we will see three attributes of how to be ready for Christ’s return.